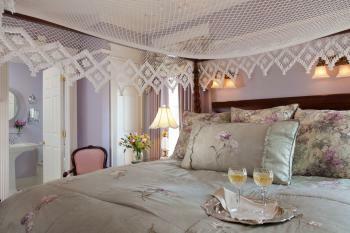 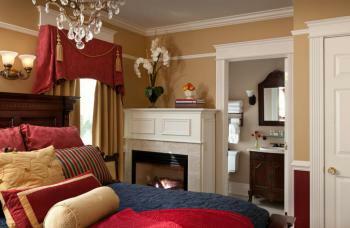 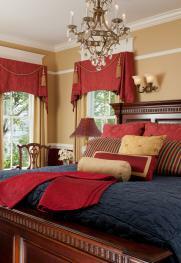 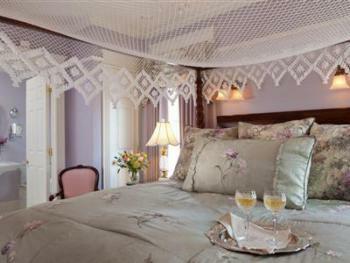 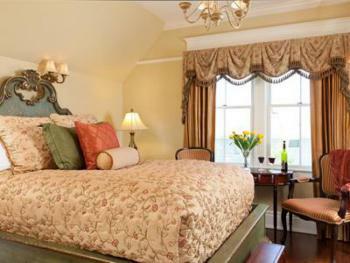 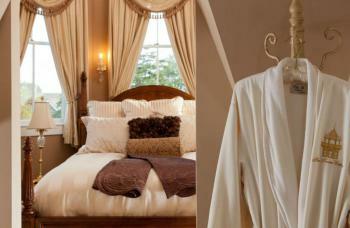 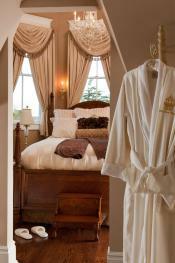 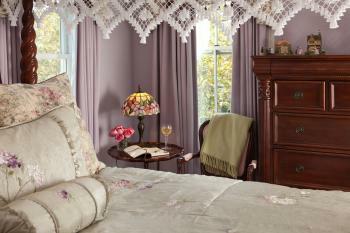 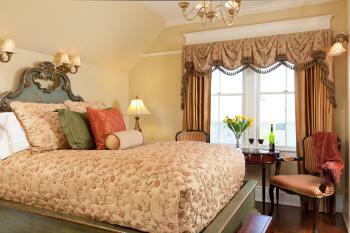 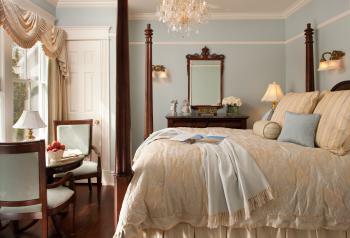 English Manor room with English Hunt décor and King Size Bed. 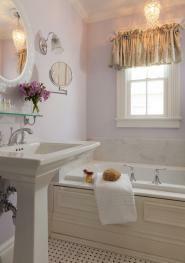 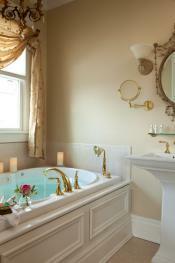 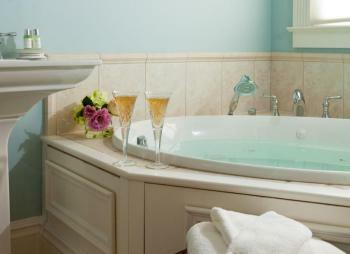 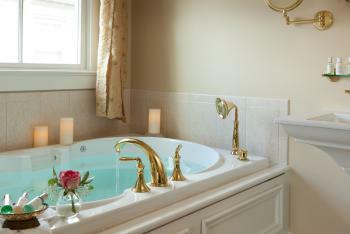 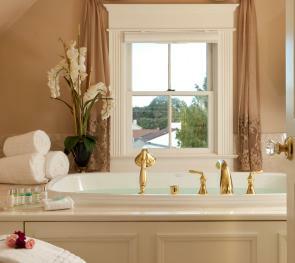 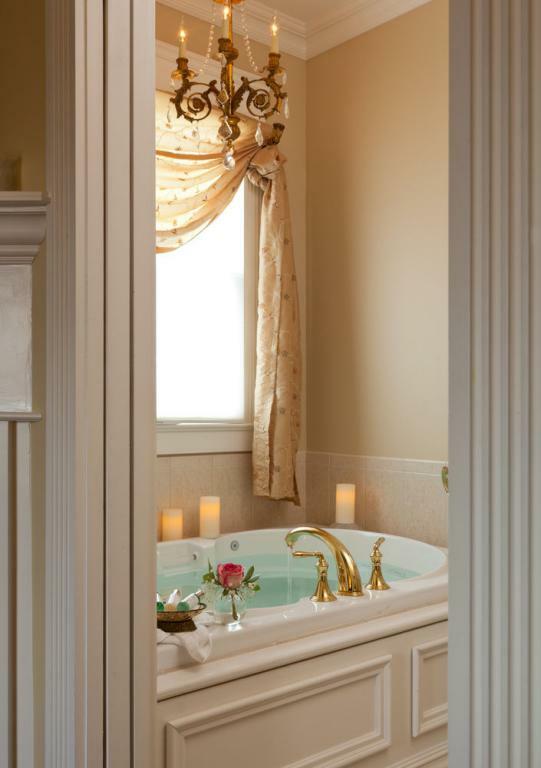 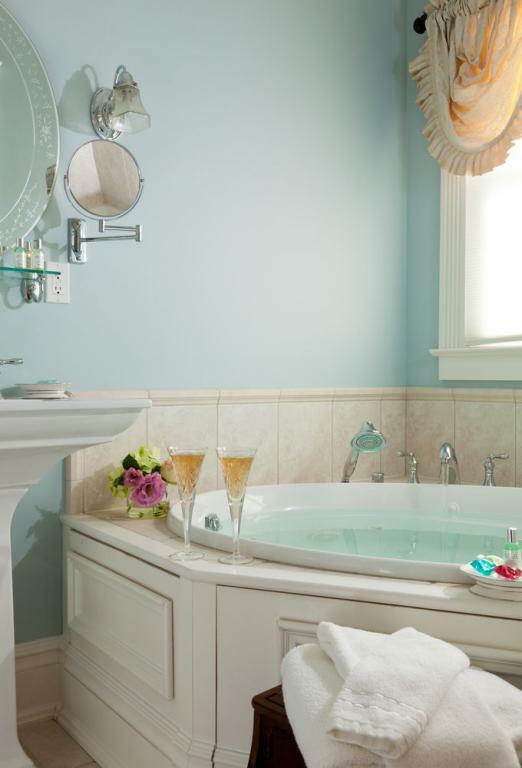 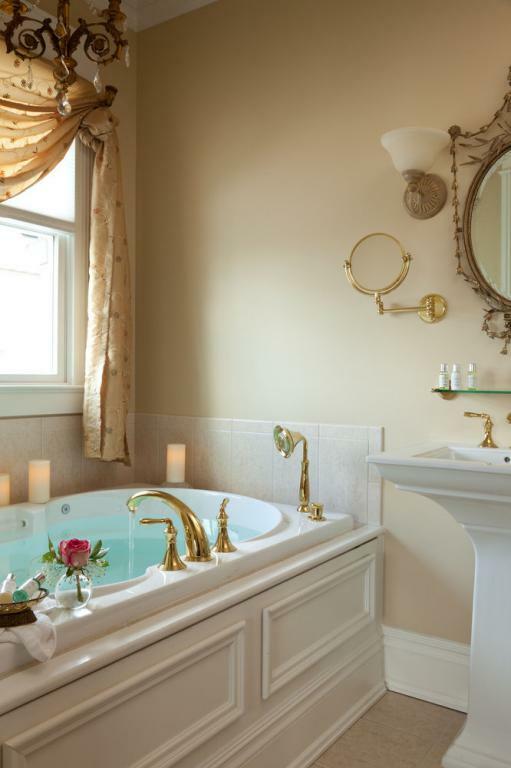 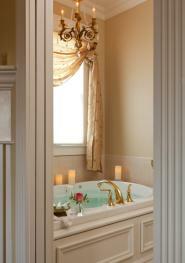 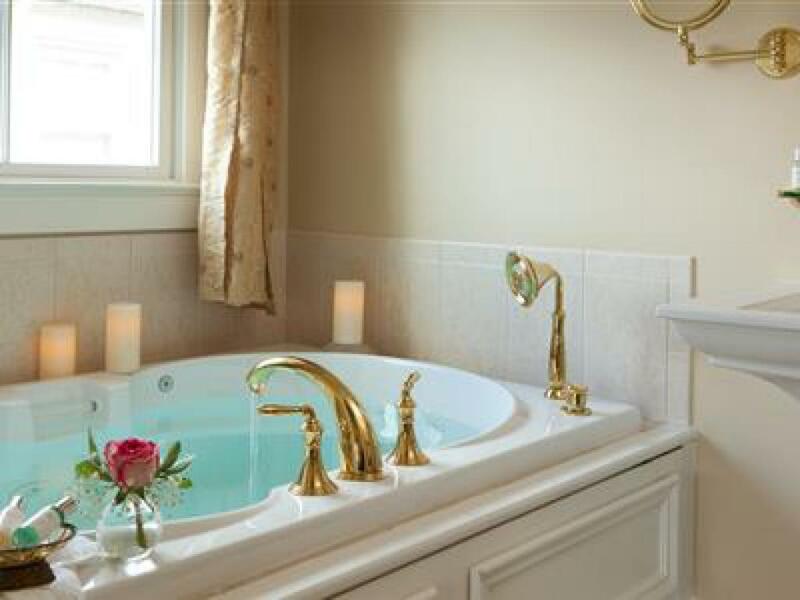 Large marble bath with oversized double shower with spa jets. 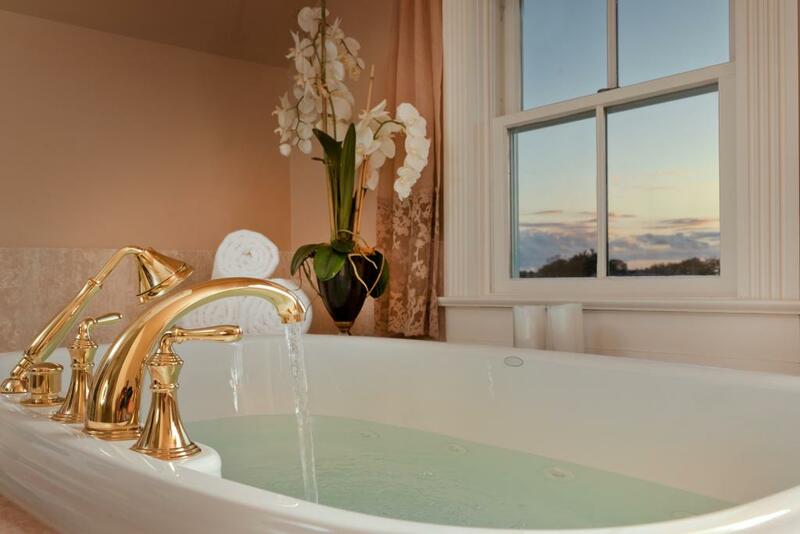 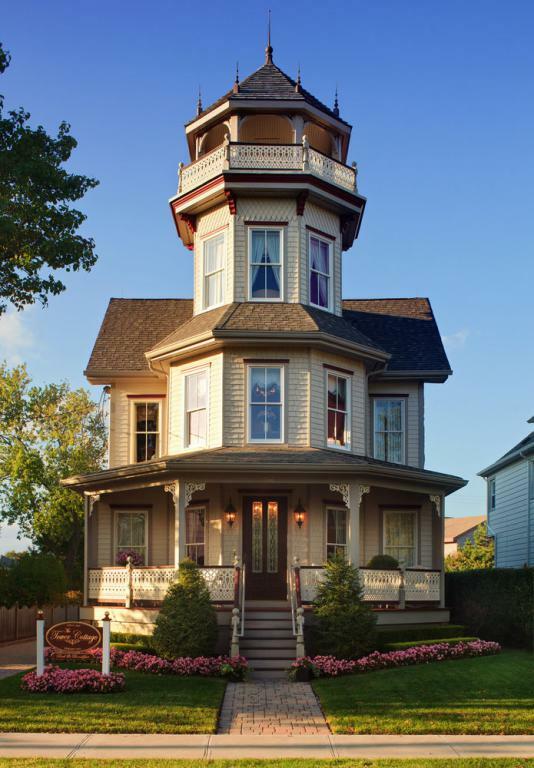 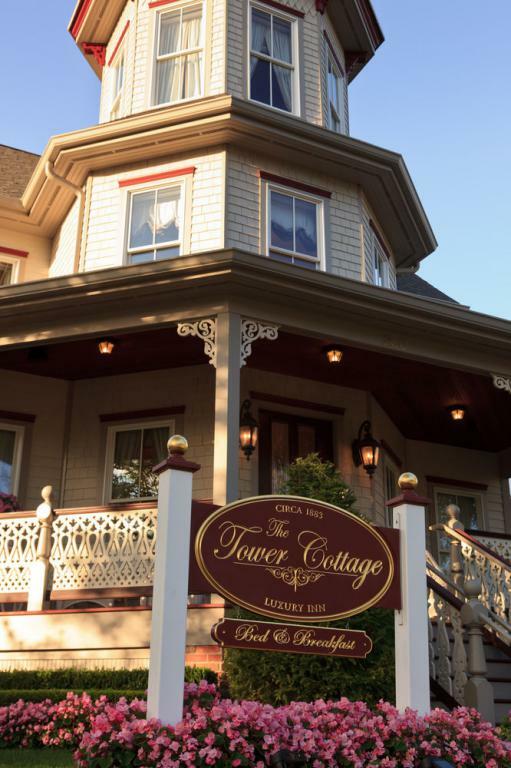 The Tower Cottage is the perfect alternative to local hotels or motels for guests who prefer a quiet B&B style retreat, mini vacation or romantic getaway. 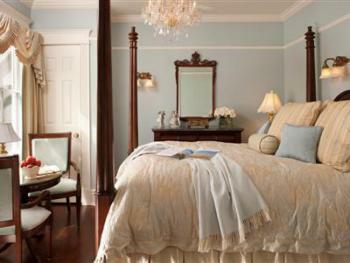 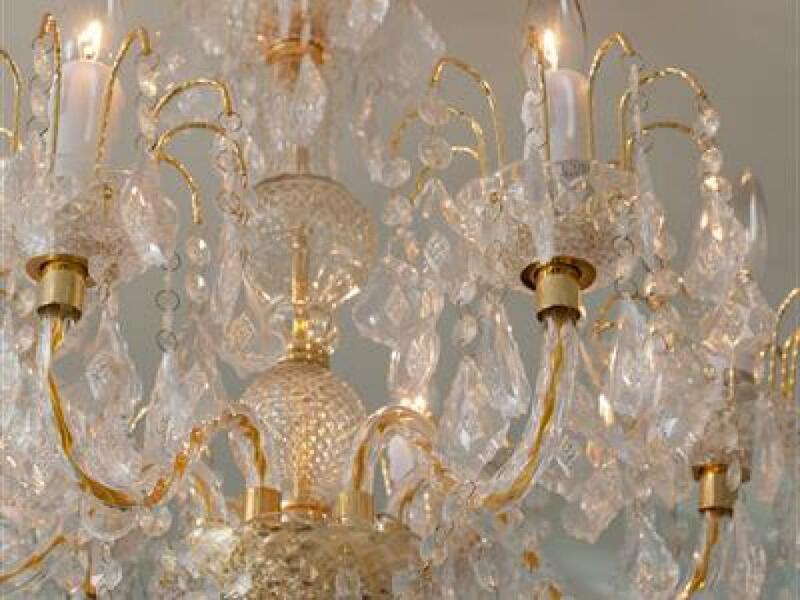 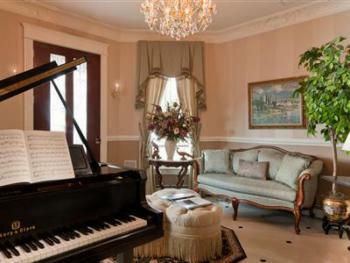 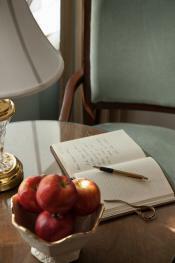 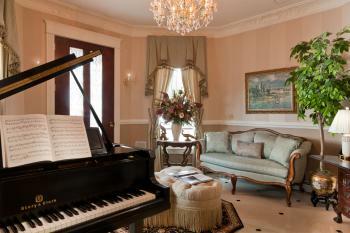 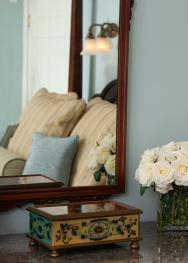 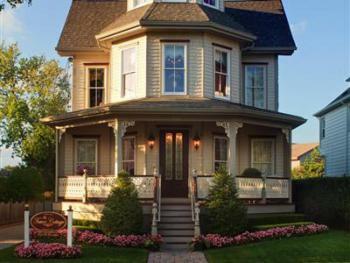 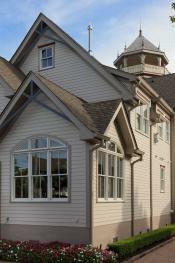 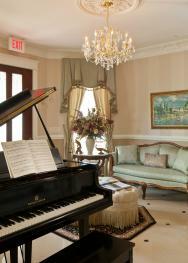 The new upscale restoration is the culmination of a multi-year renovation project. 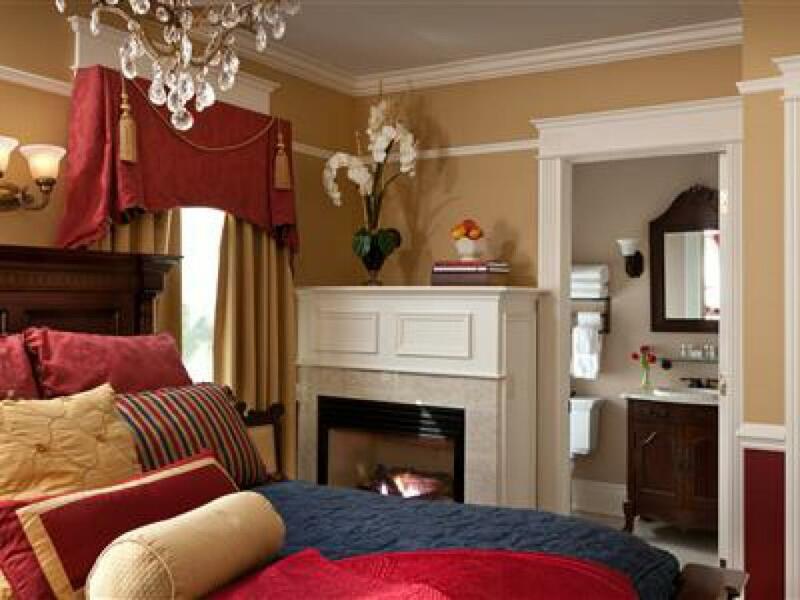 The newly restored luxury Inn epitomizes the charm of aby-gone era, & features elegant & refined style o fa small deluxe European hotel. 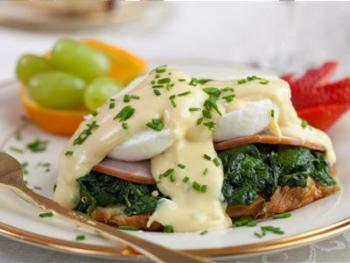 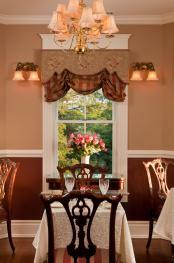 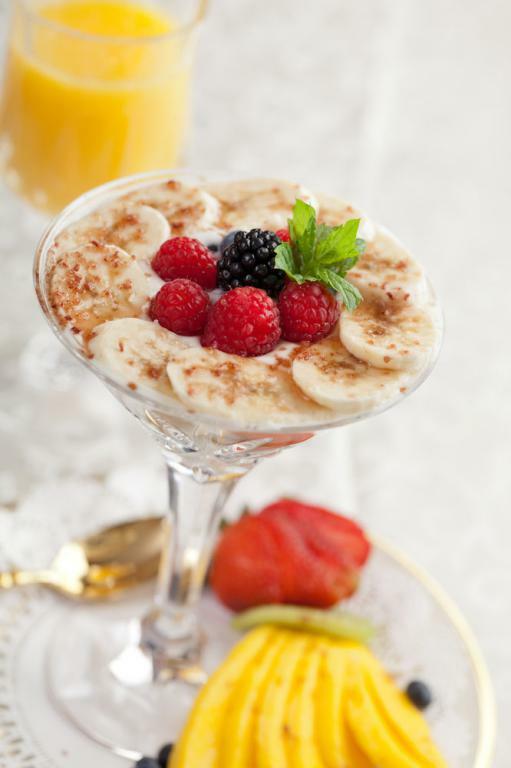 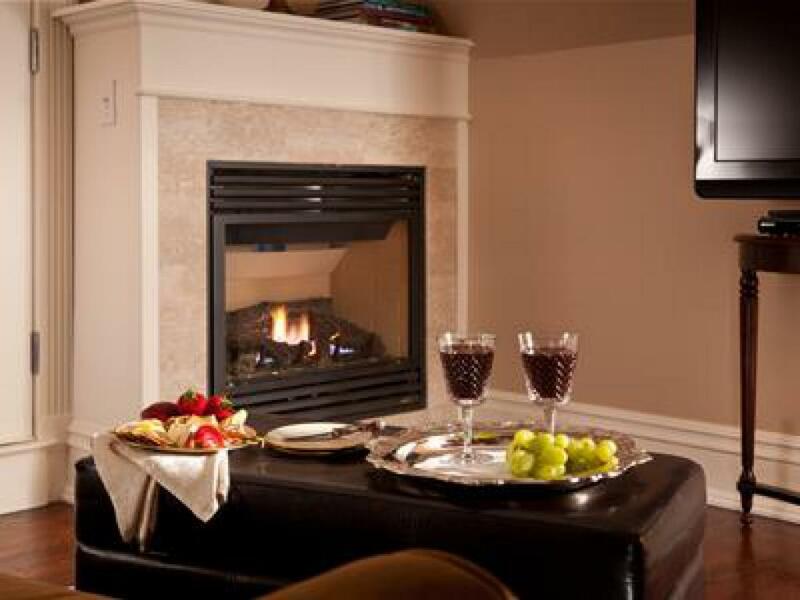 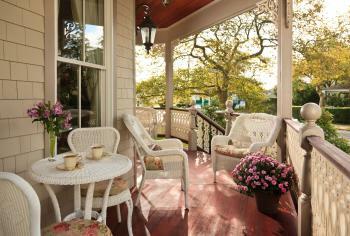 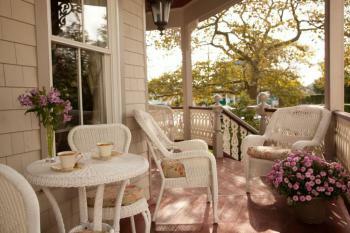 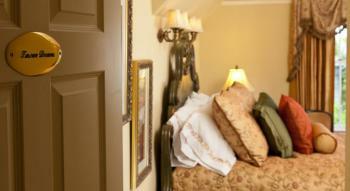 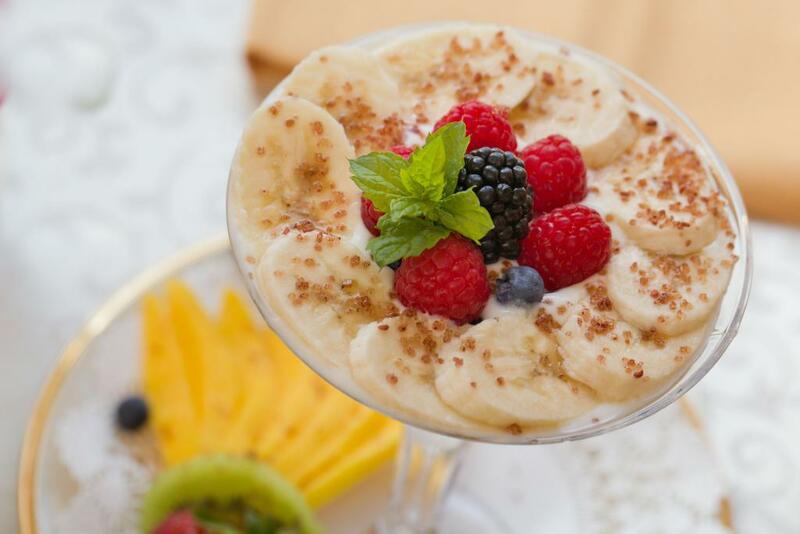 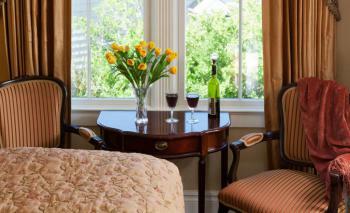 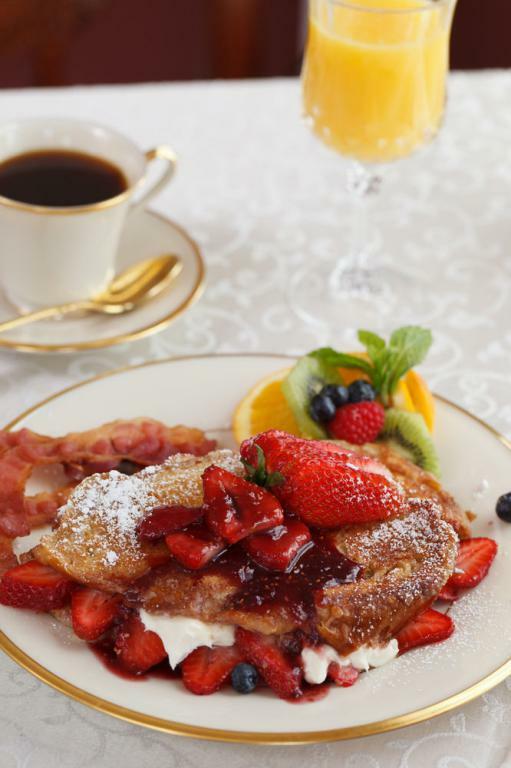 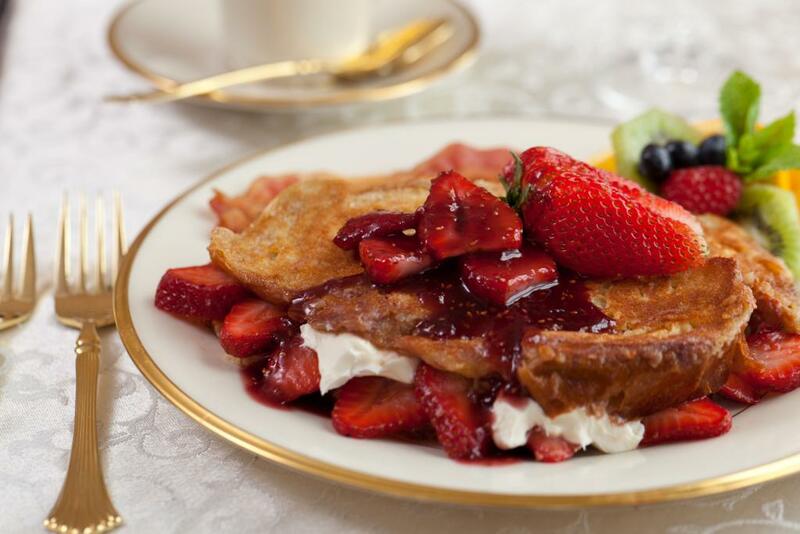 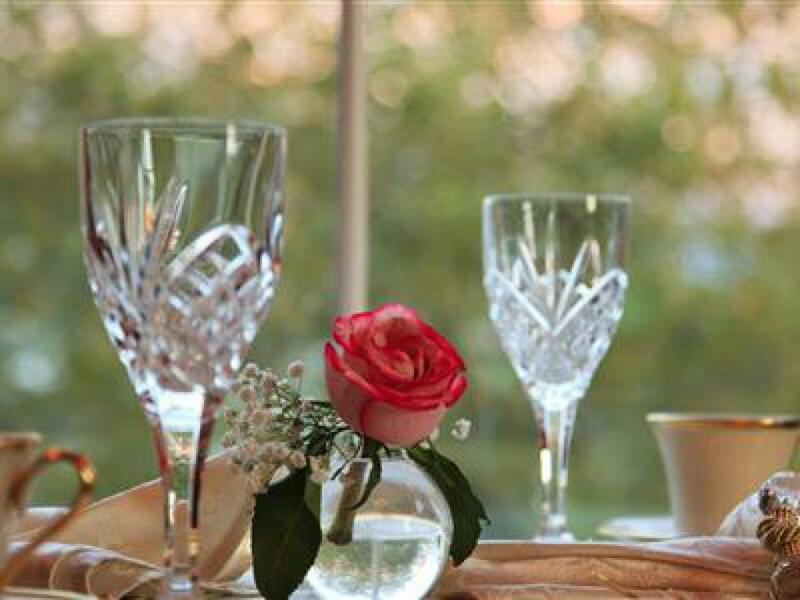 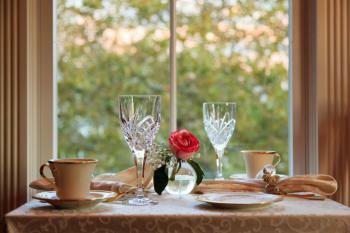 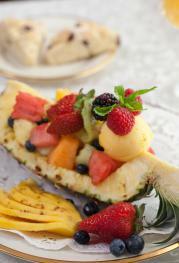 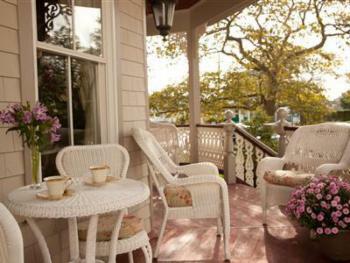 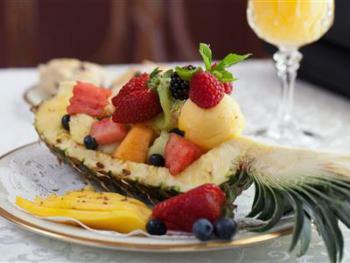 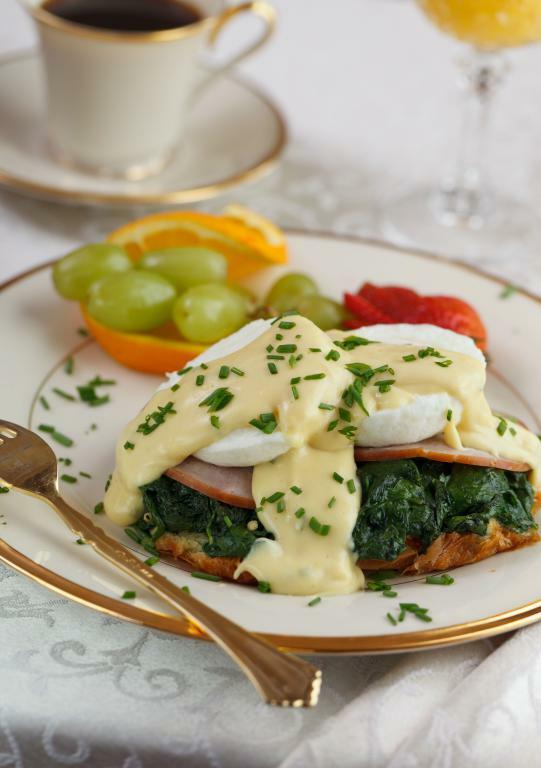 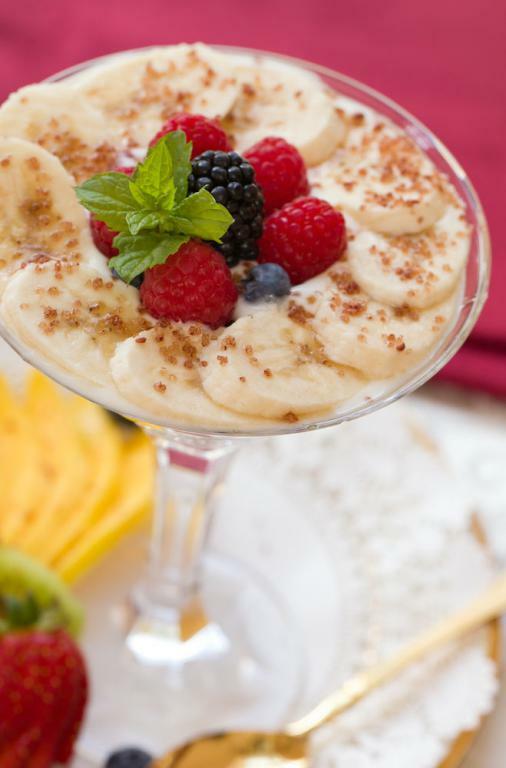 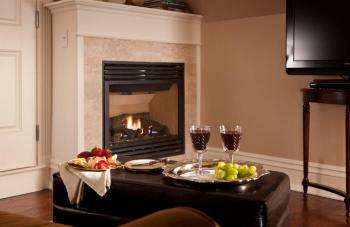 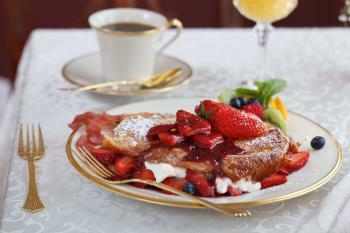 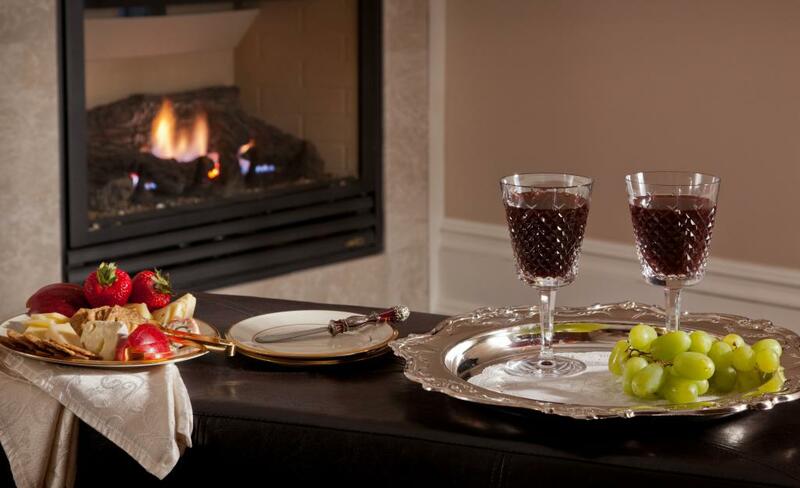 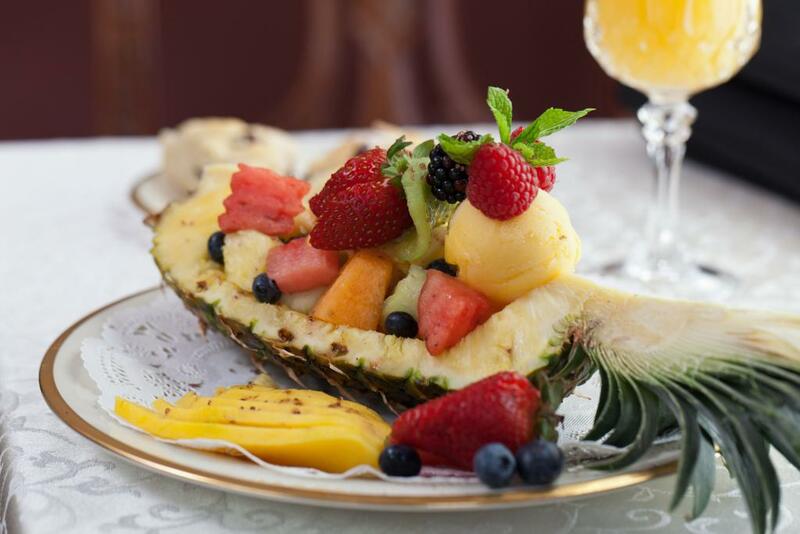 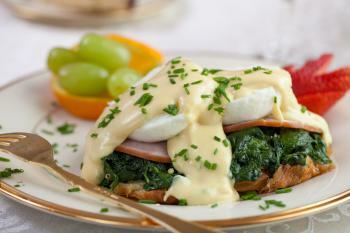 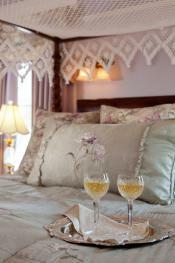 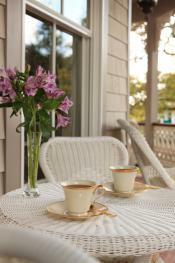 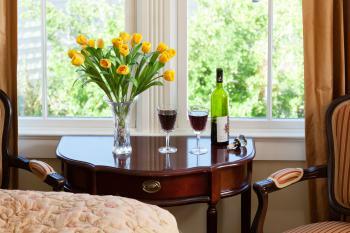 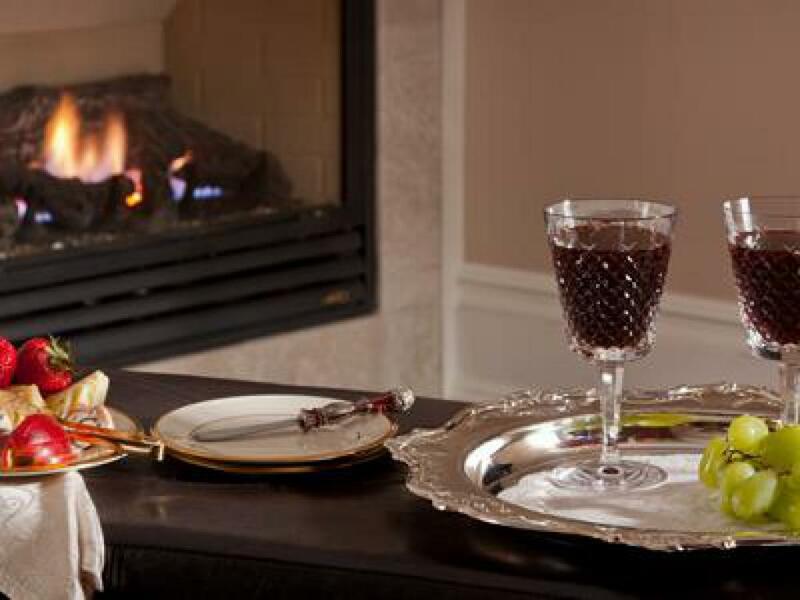 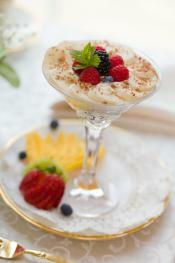 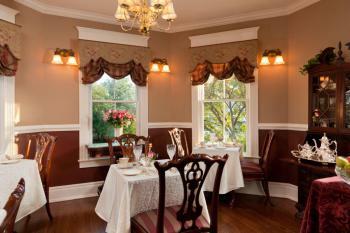 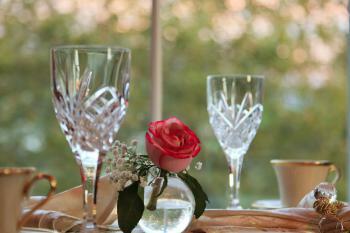 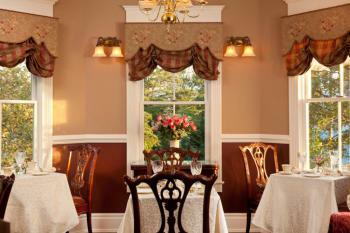 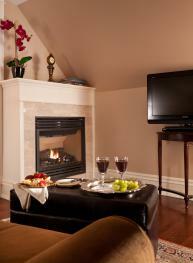 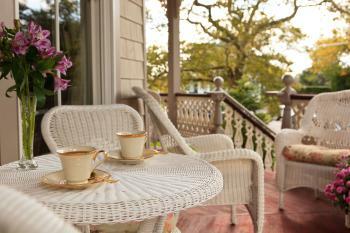 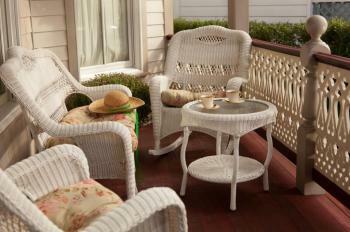 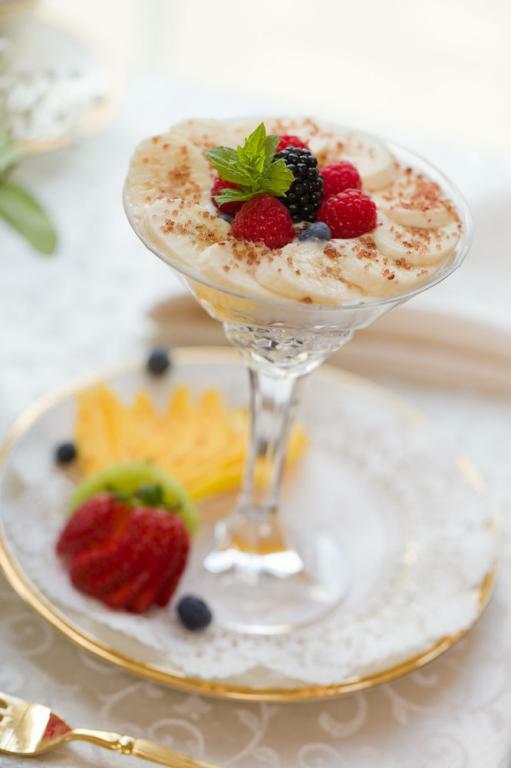 Enjoy its warm hospitality, intimate pleasant atmosphere, delicious full breakfast and afternoon refreshments. 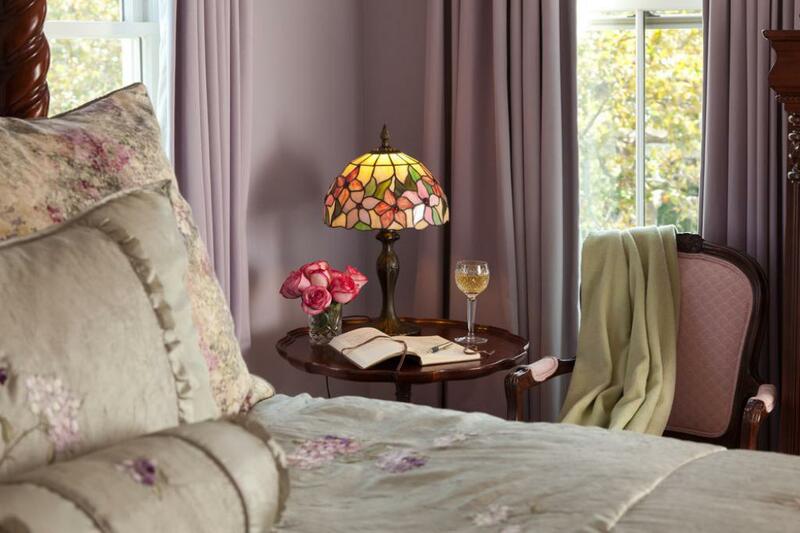 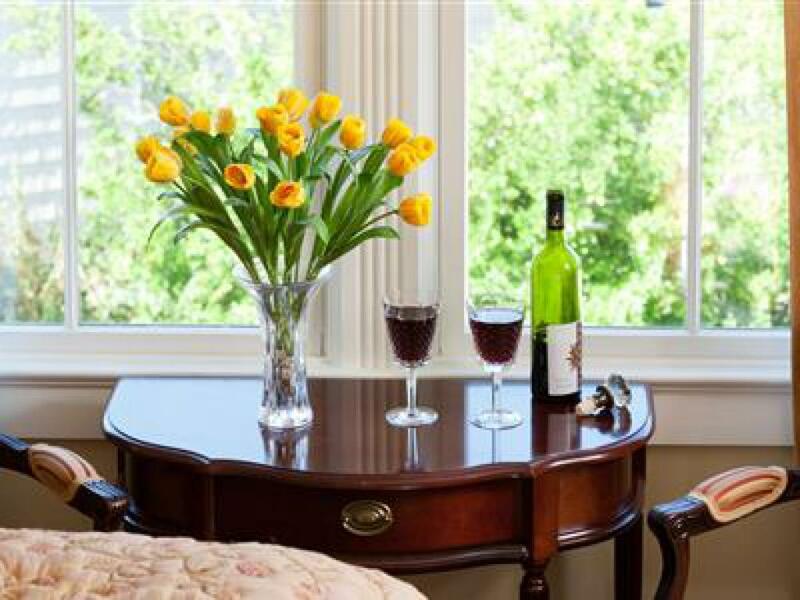 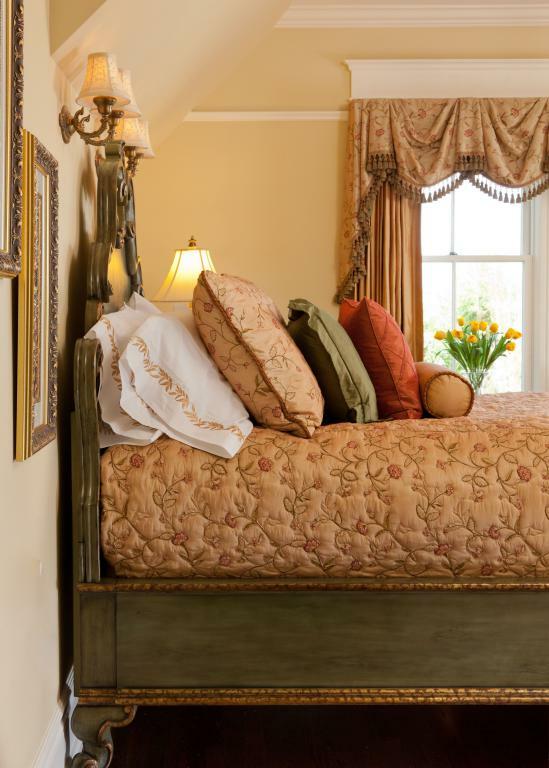 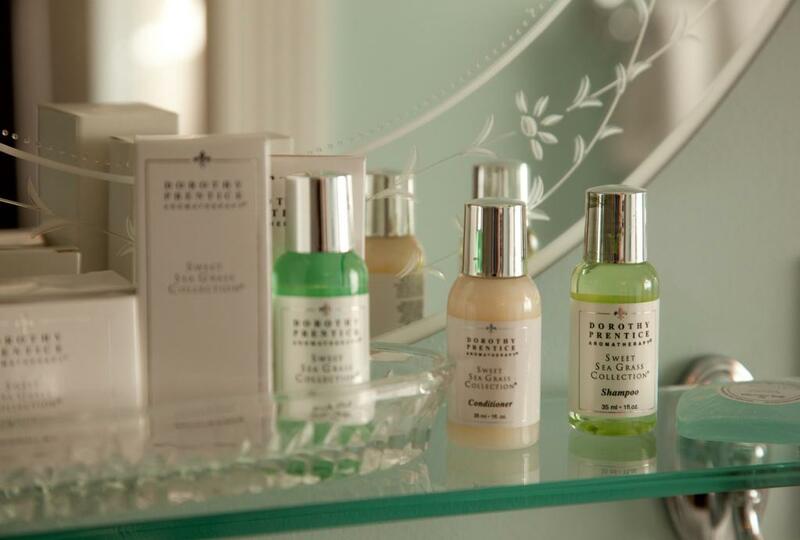 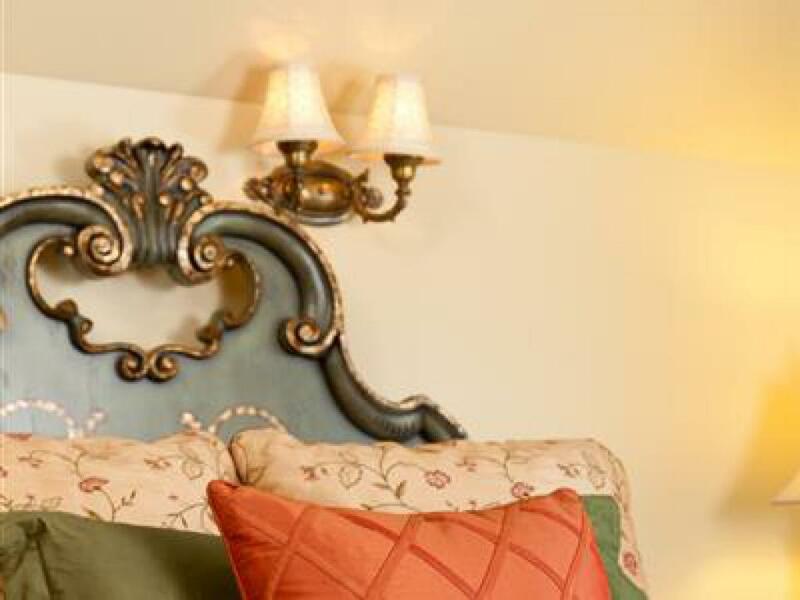 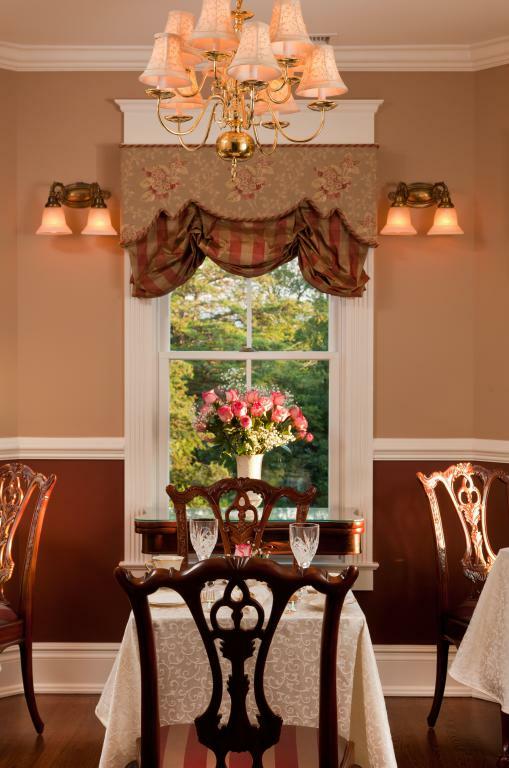 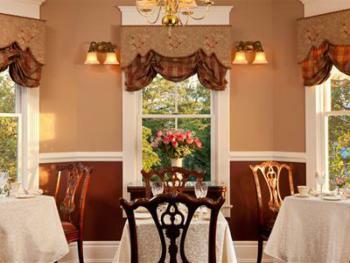 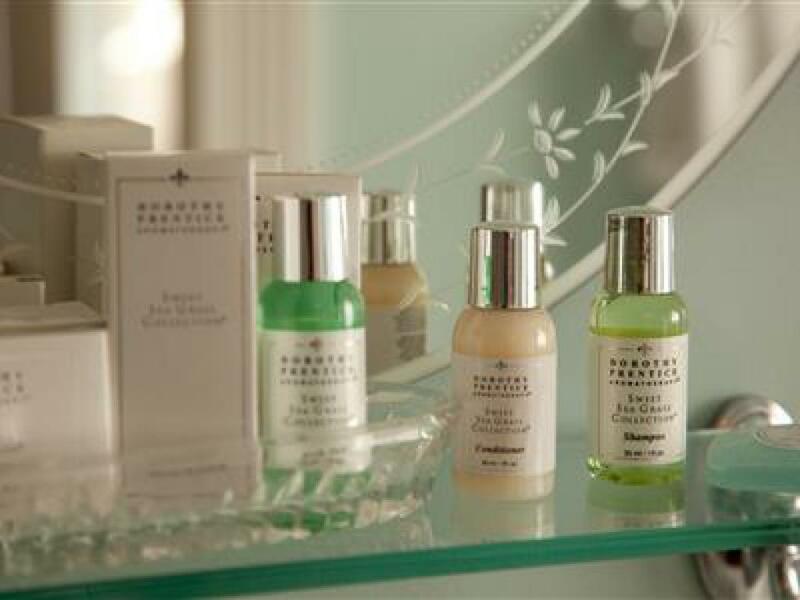 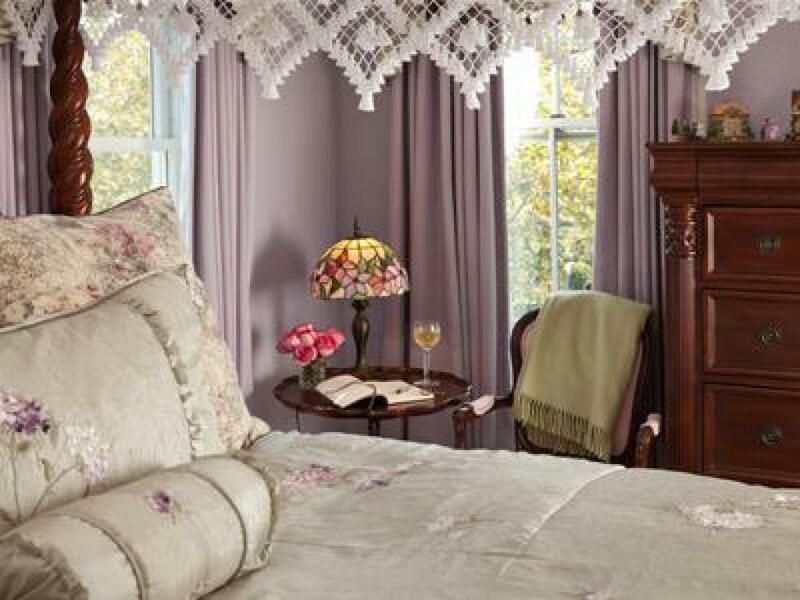 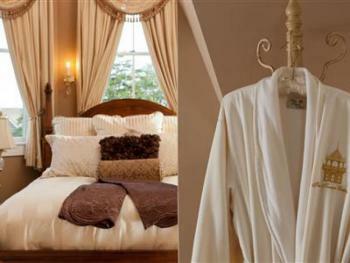 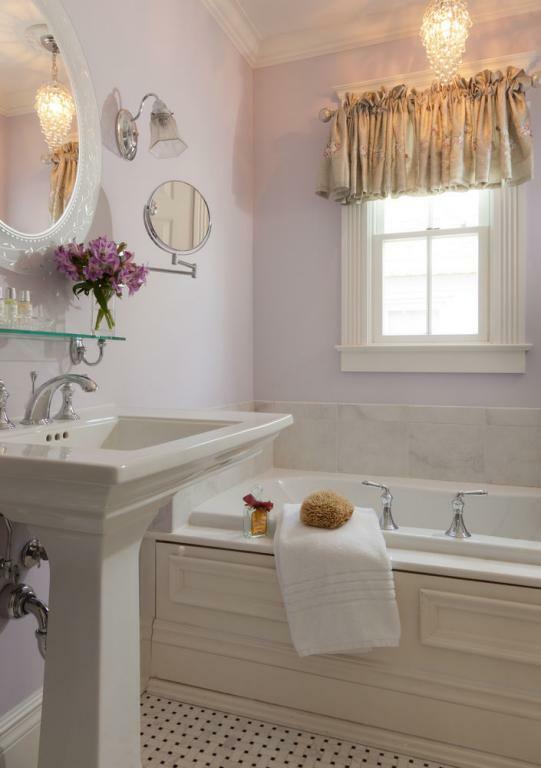 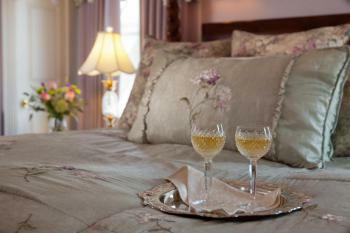 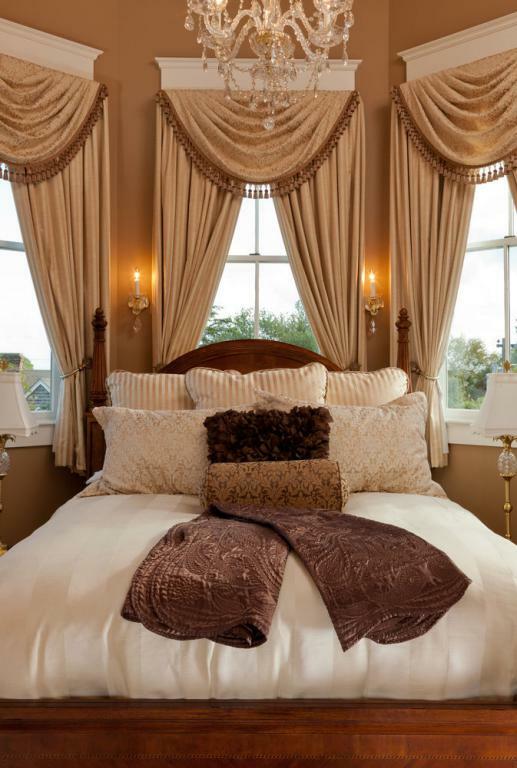 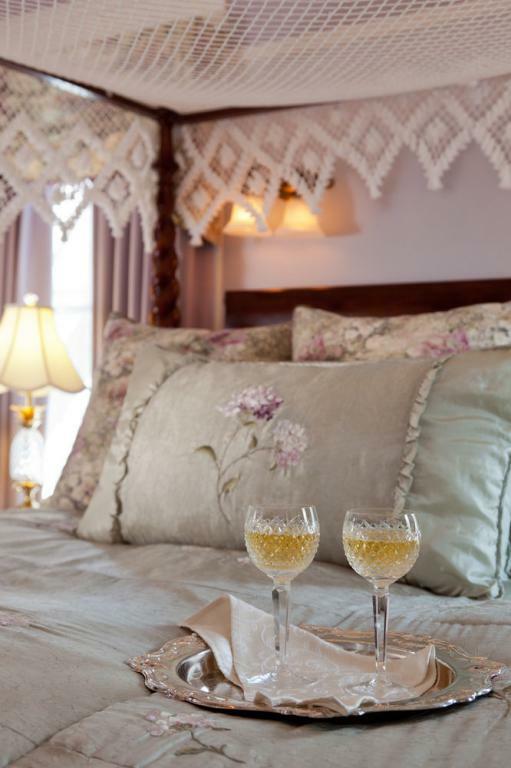 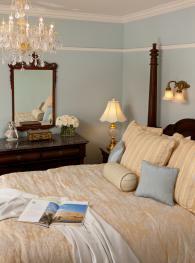 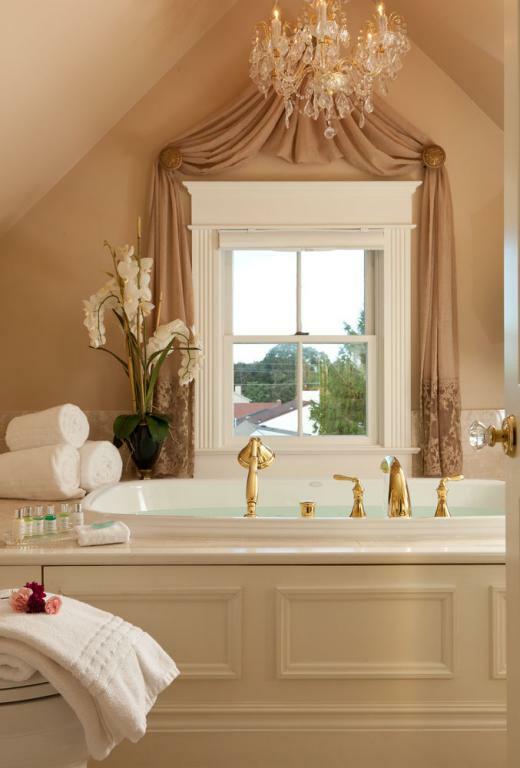 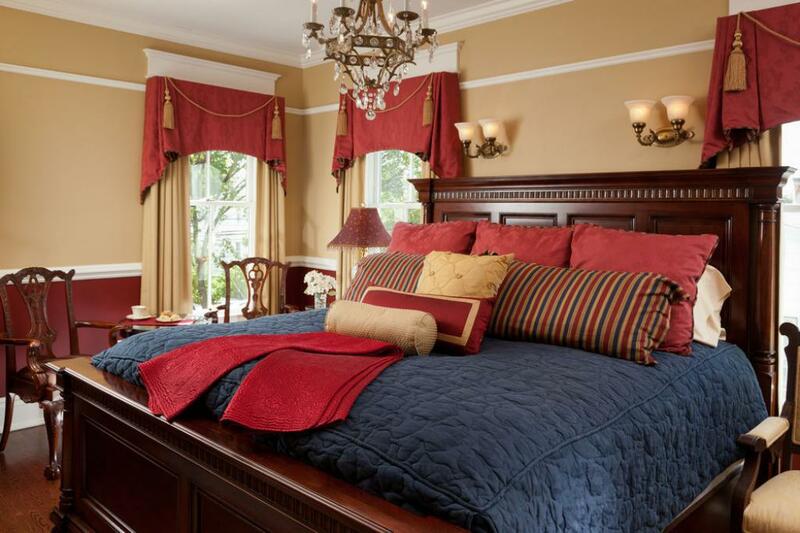 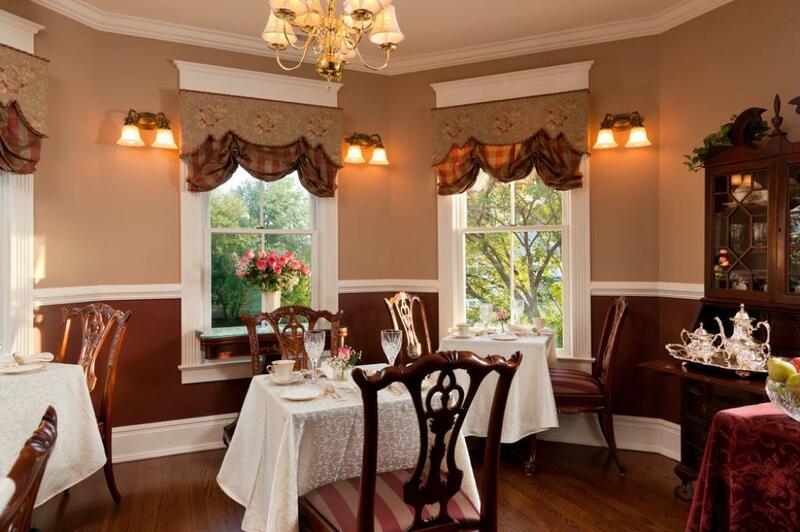 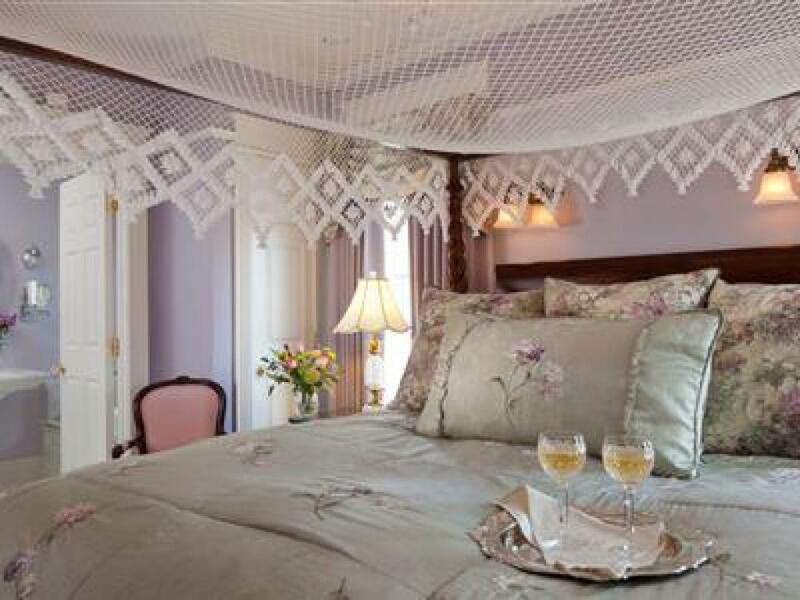 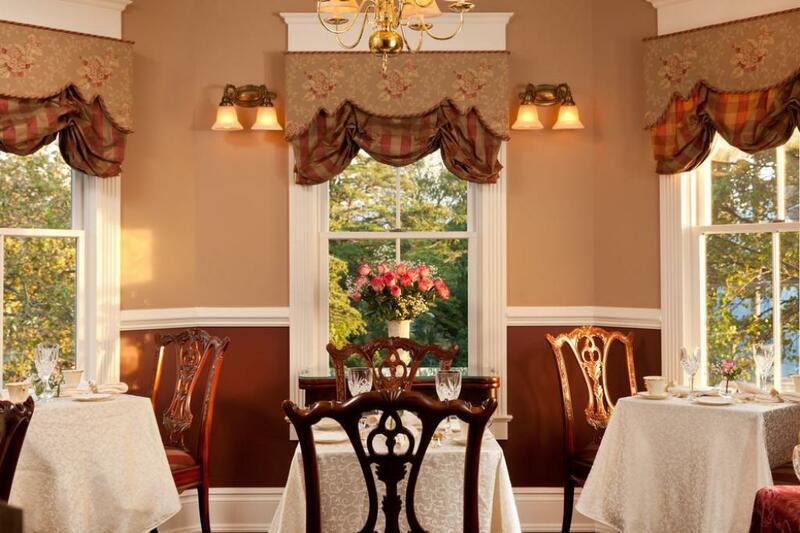 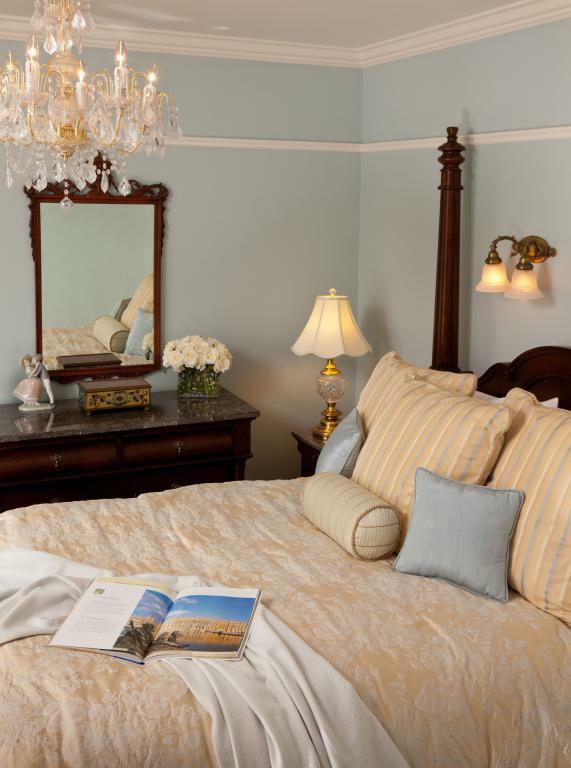 The Bed & Breakfast Inn’s beautifully appointed guest rooms are individually decorated with new furniture & each with a refined European flair influenced by the English, Italian and French cultures. 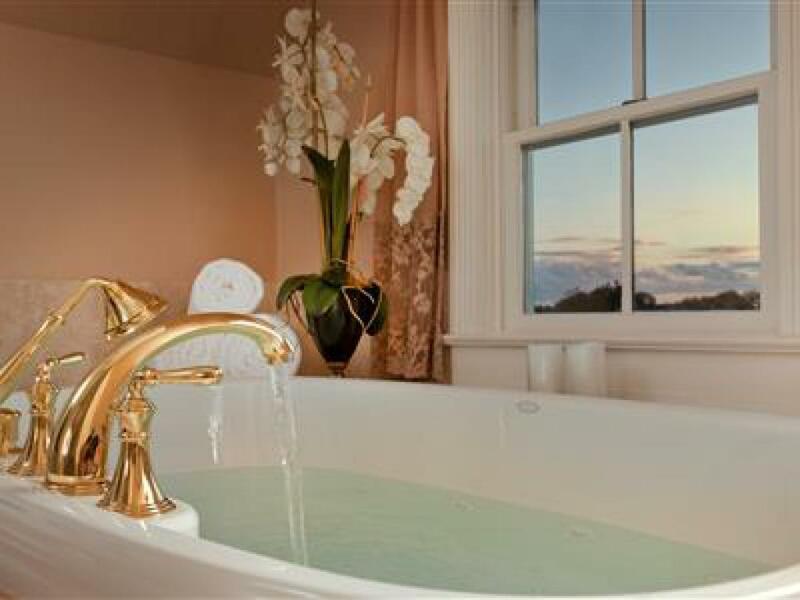 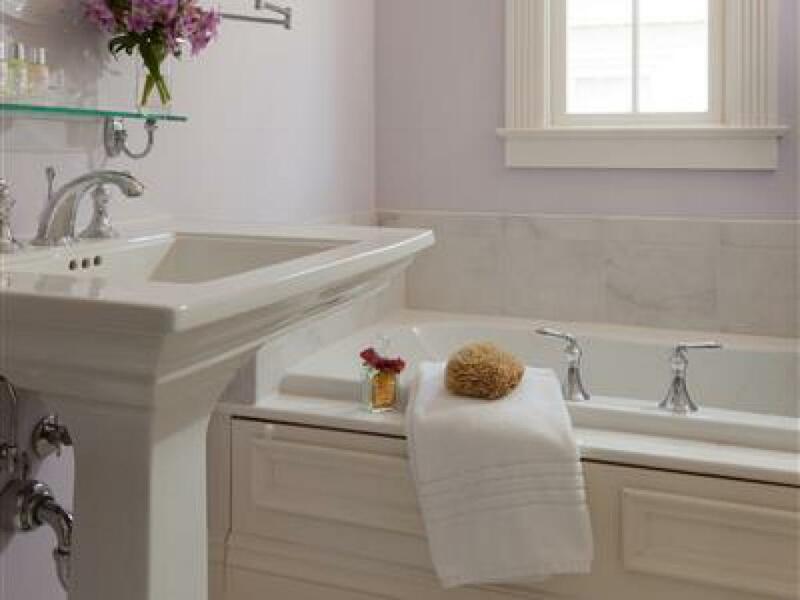 Each room has an upscale marble or imported Italian tile bathroom with a therapeutic whirlpool for one or two persons, a separate shower with therapeutic body spa shower heads. 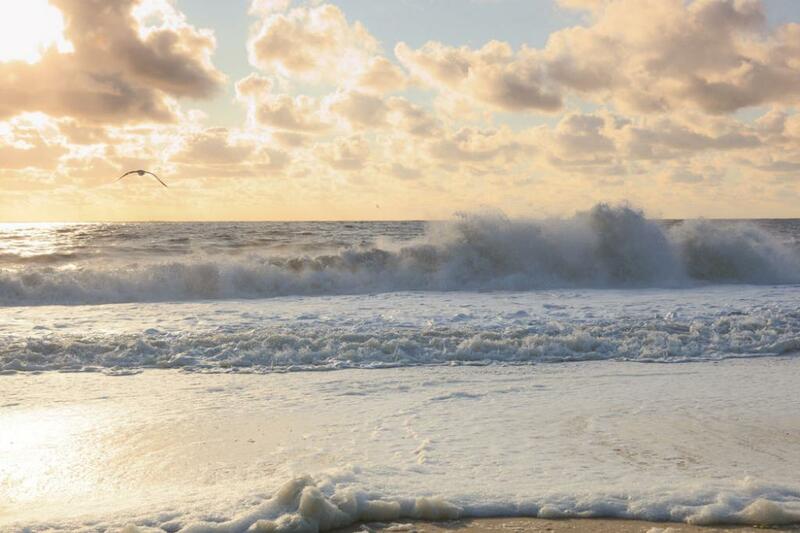 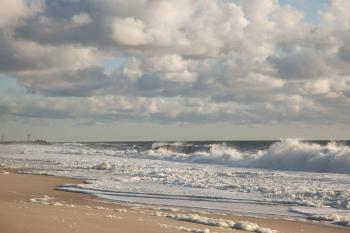 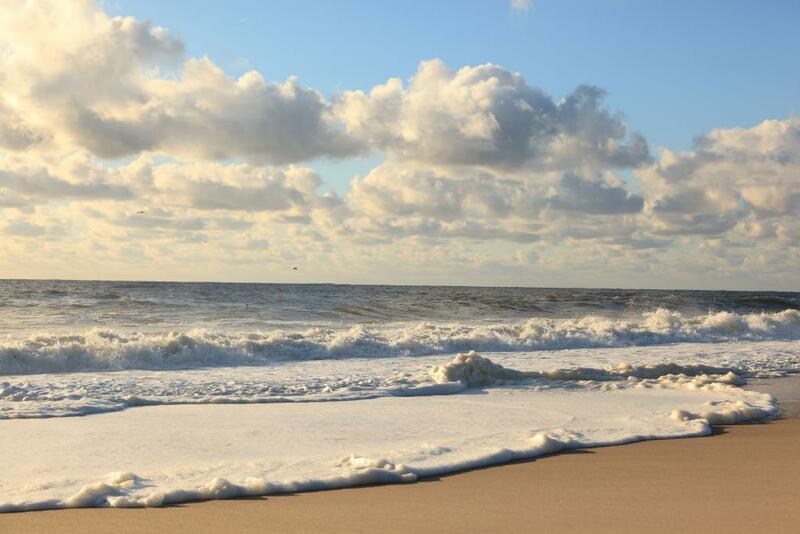 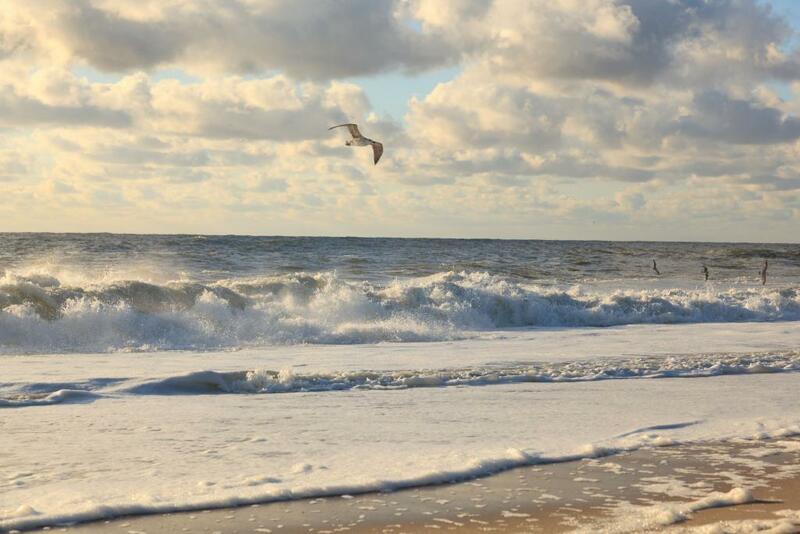 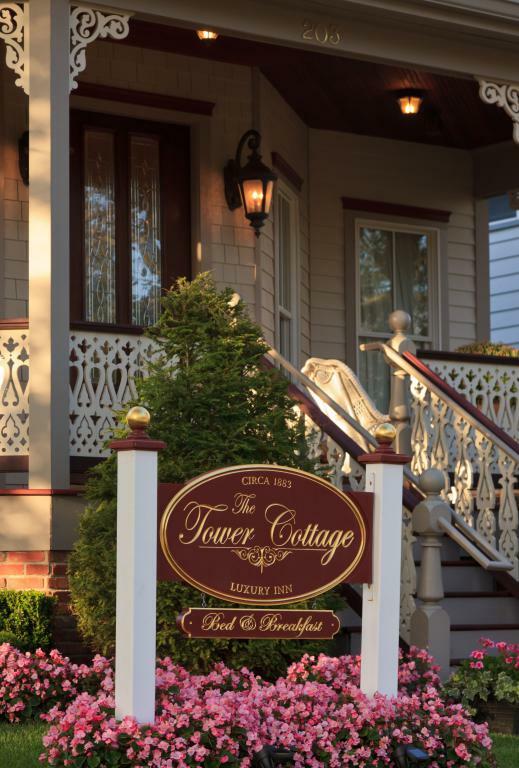 The Inn is nestled on a quiet, residential tree lined street, conveniently situated two blocks from the sandy beach at the quiet southern end of the boardwalk activities. 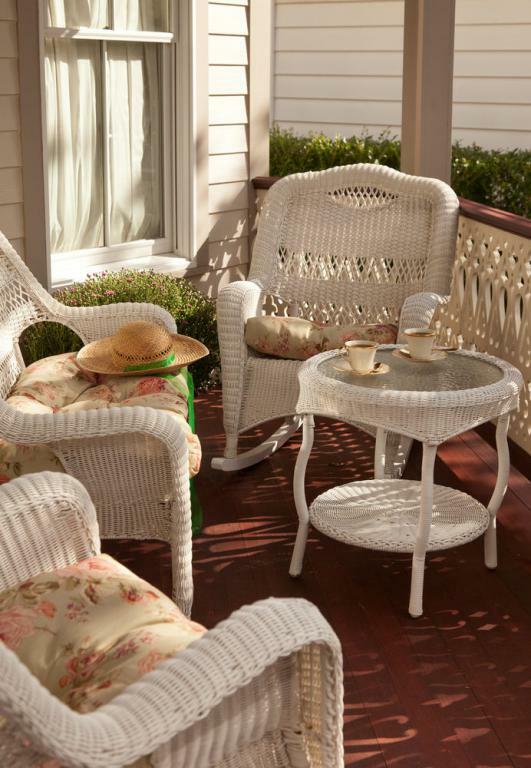 Regardless of the season, enjoy the refreshing sea breeze & salt air as you relax on our wrap around porch with an early morning cup of coffee or evening glass of wine. Point Pleasant Beach’s unique antique center has the largest selection of antiques in Ocean County. 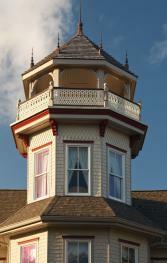 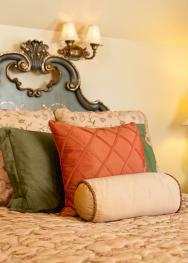 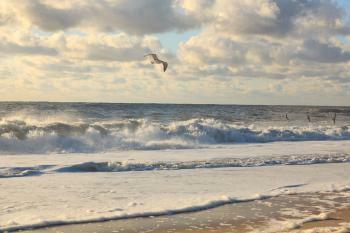 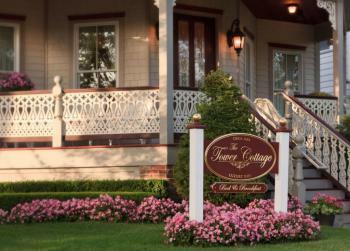 Nearly all local attractions are within walking distance of the Inn. The railroad station, public tennis courts, our town’s shops, cafes & restaurants are all within a five minute walk of the Inn. 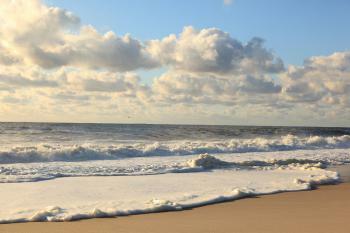 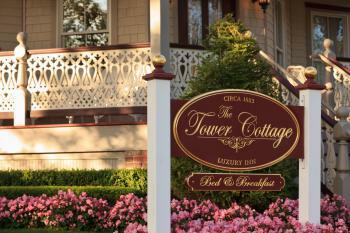 Our professional staff will be delighted to provide you information about the area, its attractions and many activities. 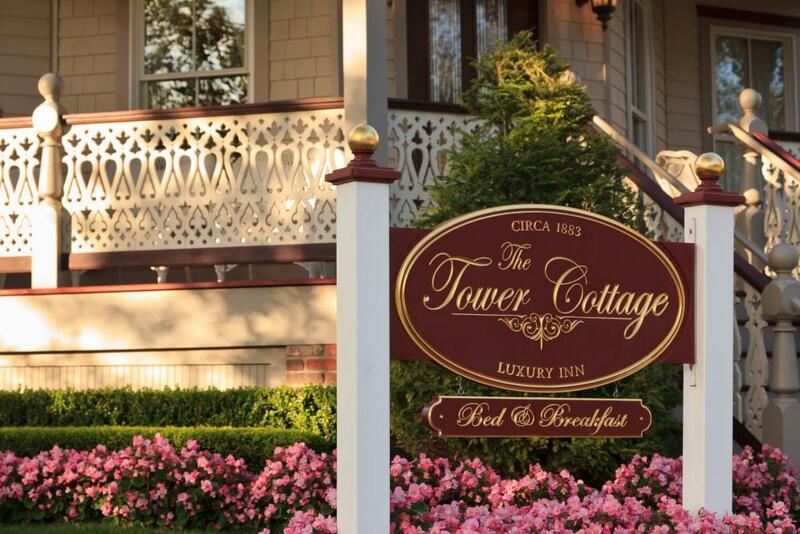 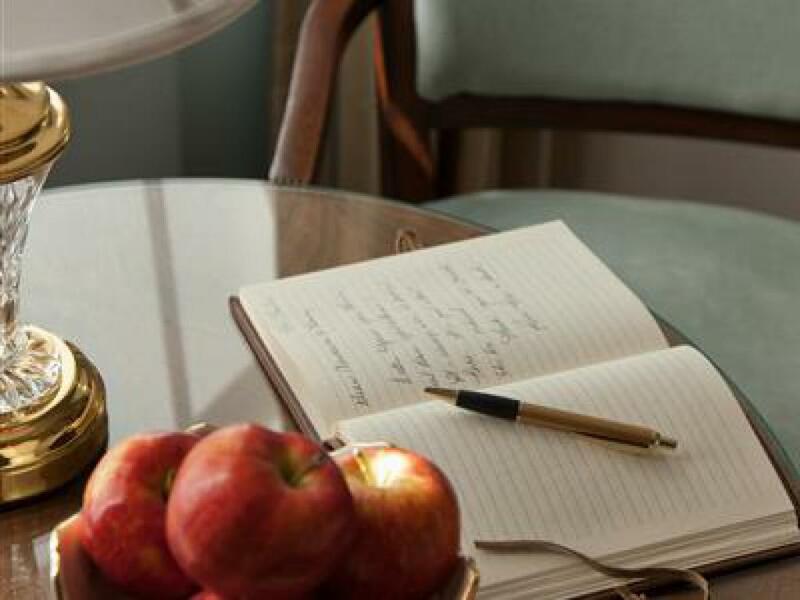 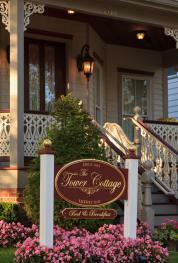 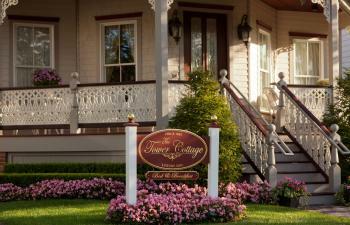 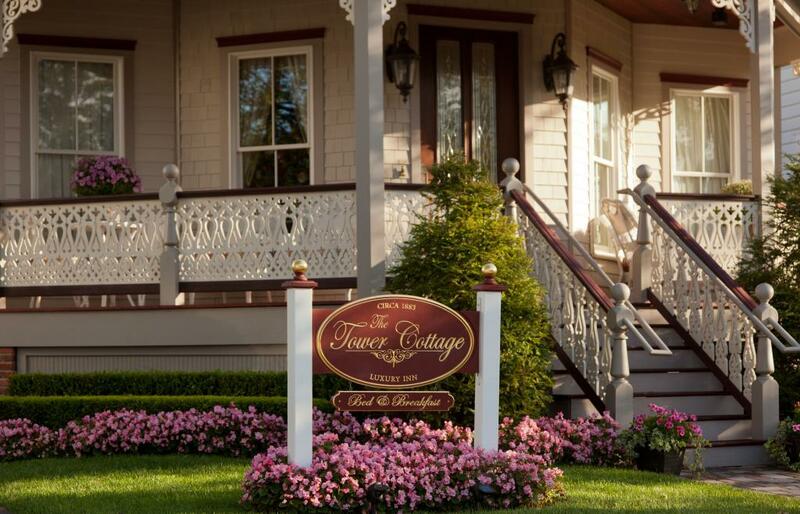 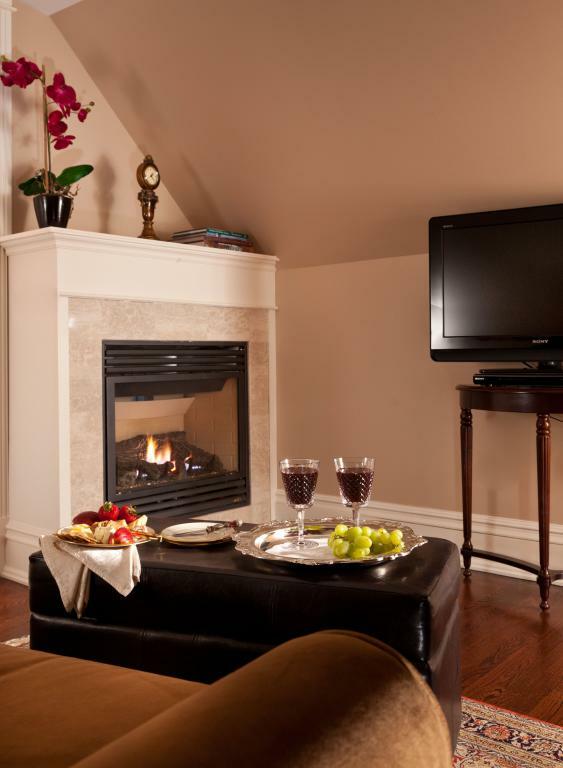 Our personalized service, luxury accommodations & convenient location make the Tower Cottage the “perfect” choice for your stay with us.